Chemical Concrete Anchors widely used in building construction. it also called as Chemical Anchor Stud. 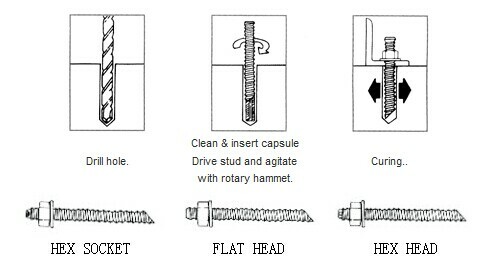 We supply full range chemical concrete anchors made of galvanized steel or stainless steel.